For National Novel Writing Month I’ve decided to do something a little different by setting out to make a Choose Your Own Adventure game in Unity. 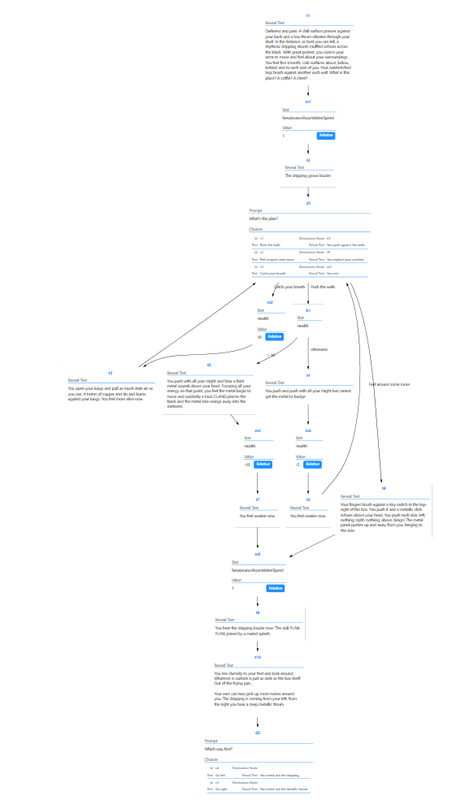 For most of the first two weeks I’ve been working on an editor using Microsoft’s Automatic Graph Layout that will help me build up the choose your own adventure quickly and easily. Now I’m proud to announce that it’s finished. Here’s a shot of it in action. Each node represents a story point, and the edges are the connection. I currently support 4 node types, with more coming after November’s writing marathon is finished. Whelp, I’d better get back to writing. Watch this space for more! This entry was posted in Development Journal on November 11, 2015 by Nick.